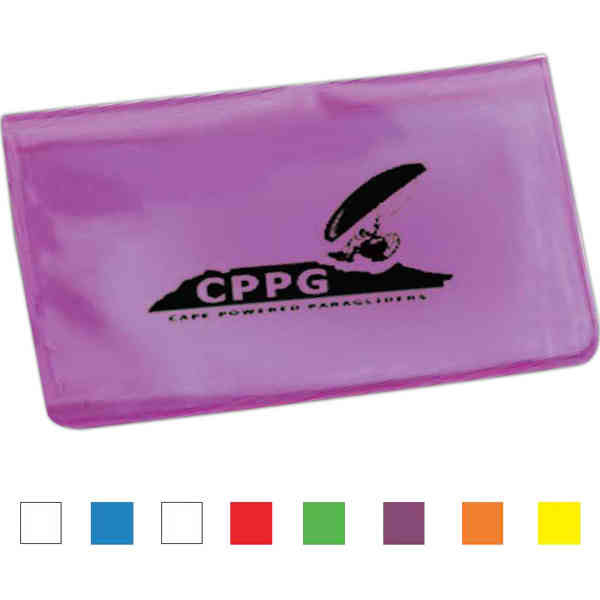 Give them something with versatile applications that also features your brand prominently with this large vinyl case. Each is available in a wide variety of colors so you can choose something that matches your brand. Add yours in a variety of printed colors for something that people won't mind showing off and are likely to use for a large variety of purposes! From tradeshows to gifts, these are a superb choice! Order today! Size: 5 1/2 " x 3 7/8 "
Imprint Size:4" x 2 1/2"